Recycle Menu｜Logistics Service｜Ryoun Logistics Inc. Dependable logistics partner Ryoun Logistics Inc.
At present days, People regards ecoactivity as a issue with attention. insufficiencyof final disposal plant.etc., People cannot avoid it without stopping consumption. Government established the laws associated to control dumping like Law for recycling of specified kind of home appliance .Under the spirit of high consciousness and strengthen its control. However, there seems to be a gap between administration and consumers. In other words, structure builders and actual users, so far. Therefore, we are dealing with recycle business, in order to solve your problem like above. 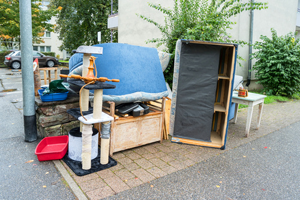 We pick up disused items from your room. We wil visit your house to pickup your big furniture, office household goods, PC, and we can take 4 items of home appliances (TV, Air-Conditiner, Refridgerator, Washingmachine) with home appliances recycling ticket. We wil also purchase the items that we can recycle. Reception of large sized disposals. Copyright (c) 2016 RYOUN-BUTSURYU Co.,Ltd. All Rights Reserved.